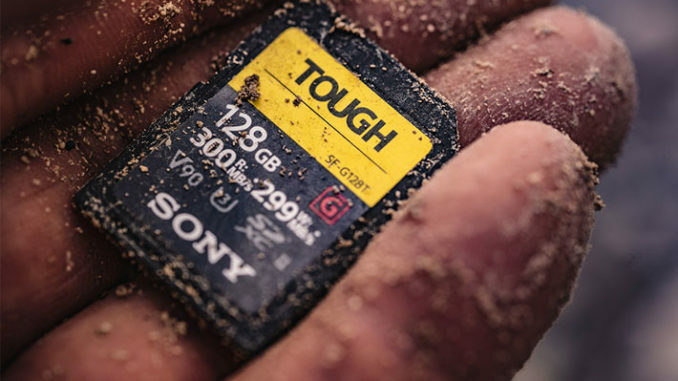 Sony’s new media cards are so tough, you could swim with them, survive a dust storm, and drop them from nearly five meters and they’ll still keep working. And did we mention that’s the fastest cards on the market? 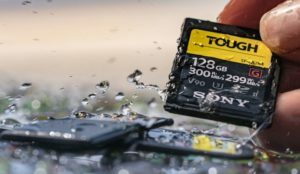 Completely dust proof, bend proof, and water proof, Sony says that the SF-G series TOUGH SD cards are rated at 18 times stronger than a standard media card. The media card is completely sealed in a single, one piece molding that has no air gaps in it, so there’s no place for the dust or water to get in (except maybe where the contacts emerge). 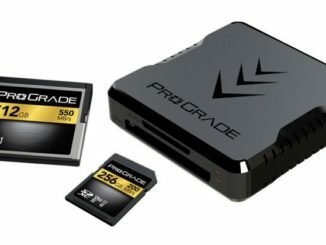 Sony has also used high grade materials that are super hard, rather than a more flimsy abs plastic used on standard media cards. The cards are so tough, they have received an IPX rating of IPX8, meaning they are waterproof in over 1 meter of water. Sony even took the SF-G media card to a depth of 5 meters and left it there for 72 hours with no leaking. The design also embeds the gold metal contact points within the solid plastic structure, so that there’s no chance of damaging connections due to a broken case. Oh, and notice that the Tough card specification is missing one important feature … there is no write protection tab switch, which Sony indicates is a point of failure in conventional SD card cases. OK, so they’re really tough, but how fast are they? 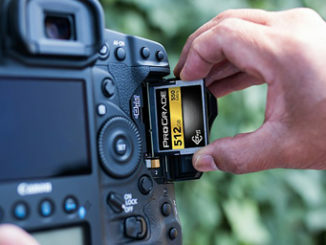 In keeping with the UHS-II standard,, and supporting a maximum video speed class of V90. Sony estimates a read/write speed of between 299-300 MBPS. That makes them ideal for shooting at resolutions up to 8K. 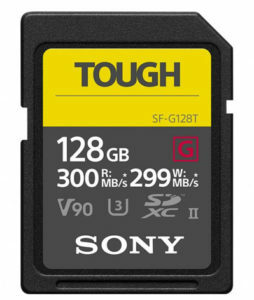 So the Sony Tough media cards can be ideal for shooting documentaries out in the bush, or in harsh weather conditions, and to make sure that photographers and videographers have peace of mind over what they’re shooting with, Sony is releasing two apps that will enable shooters to scan and check the overall health of the card, and a free rescue utility in case the data gets accidentally deleted. 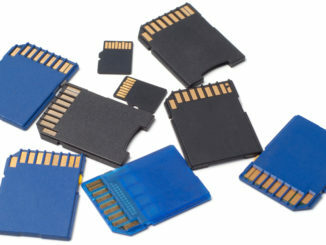 The SF-G TOUGH memory cards will be available in 32GB, 64GB, and 128GB capacities for $73, $132, and $276, respectively. Not a bad price. Shipping in October 2018.